Founded in 1996 by W. Duncan MacMillan, Rush Creek Golf Club is a public golf club with a private club feel. Its founding was purposed with a vision to make the game of golf and the grounds of the facility accessible and enjoyable to everyone. Mr. MacMillan turned an old, fading golf course and farm into a first-class facility. Rush Creek Golf Club resonates with beauty and charm. 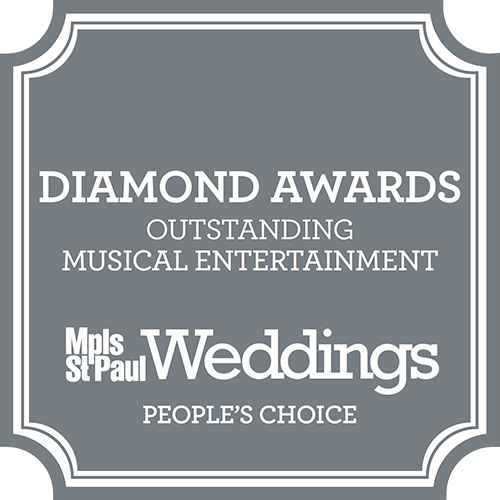 It’s the perfect venue for your wedding or celebration! 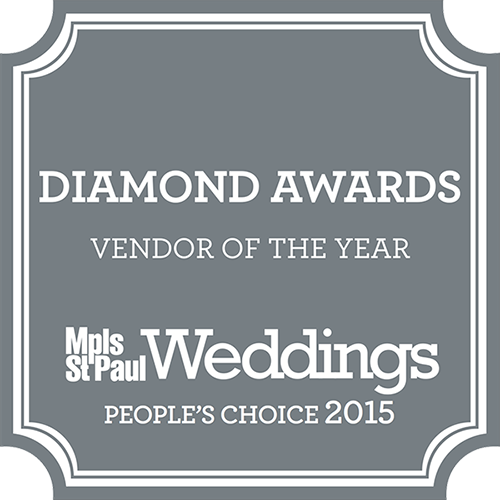 In June 2006, Rush Creek Golf Club was voted best reception site by the brides of Minnesota Brides magazine. Then, in 2010, the brides of TheKnot.com voted Rush Creek as a winning favorite wedding venue! It’s difficult to beat high honors by real brides! Let your event be the one that takes the cake at this renowned venue. You can make your special day complete in the picturesque MacMillan Ballroom. Adorned with vaulted ceilings, chandeliers, panoramic window view of the grounds, and two magnificent stone fireplaces, the ballroom renders a delightful atmosphere to any occasion. Plush chairs surround elegantly set tables, creating a beautiful arrangement for your favorite flora and an in-house catered banquet. Let the glowing bride climb up to the Juliet balcony to throw her bouquet to a crowd of eager guests, while guests mingle on the outdoor terrace. Capture stunning photos in the arched stone footbridge or in front of a gently falling snow backdrop. Capitalize on the extraordinary opportunity to have your event catered by Rush Creek Golf Club. Enjoy the extensive menu, choosing from a variety of options including items such as surf and turf sliders and light hors-d’oeuvres to buffets and plated entreés. Don’t forget the desserts, whether it be beautifully arranged and plated desserts or an extensive dessert buffet. Ample parking is available on the grounds, making guests feel welcome and comfortable. At Rush Creek Golf Club you’ll enjoy the friendly service of the highly trained, professional staff. Your event is sure to flow seamlessly guided by the seasoned experience at your disposal by the staff. Awe and inspire yourself and your guests with the grandeur of Rush Creek Golf Club.